Going a full circle round Europe’s highest peak, passing through three countries (France, Italy, and Switzerland) and taking in about 10 passes, including four at altitudes of over 8,200 feet. 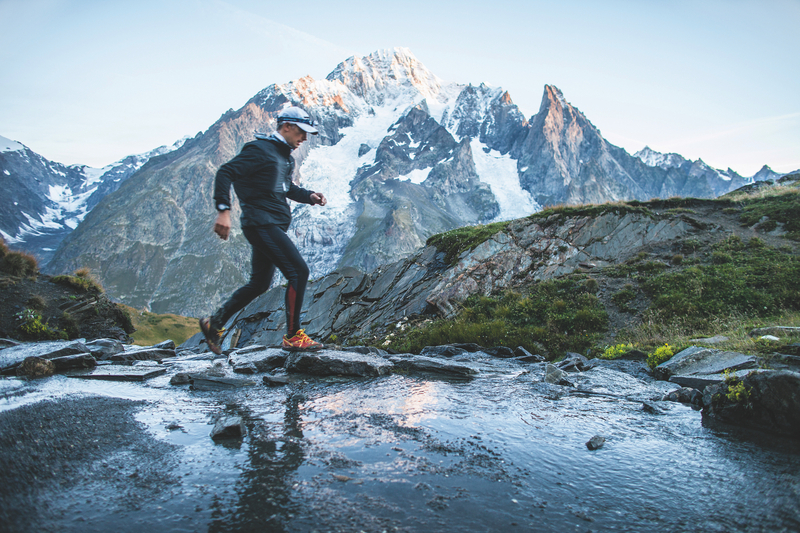 The Ultra-Trail du Mont-Blanc (UTMB) is the world’s most famous long-distance footrace and the one that draws the most entrants—and an ultra that more than deserves every superlative. 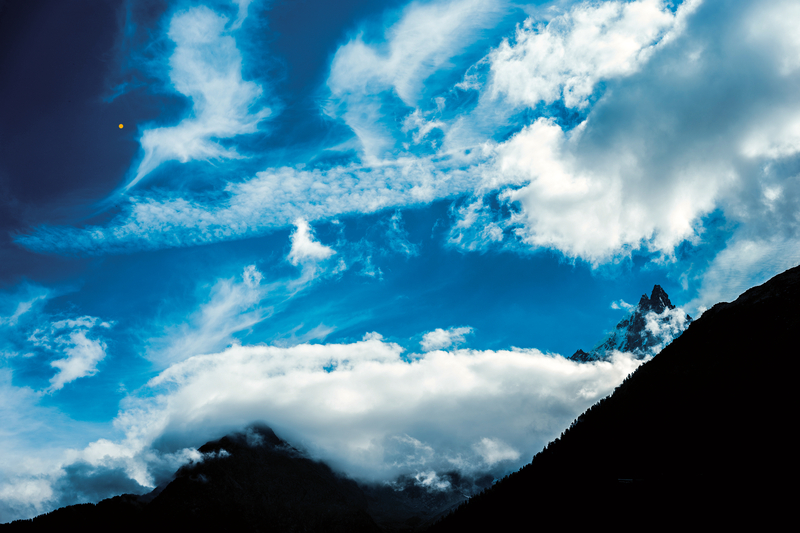 Each year brings a starting lineup of 2,300 competitors to Chamonix, famous as the global capital of trail running. 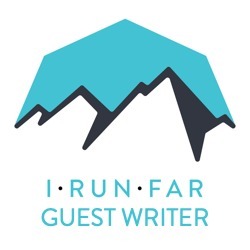 If this race has become such a legend, it is also because of the unavoidable element of chance in the mountains, which can shatter your dreams and involves a legendary degree of risk. 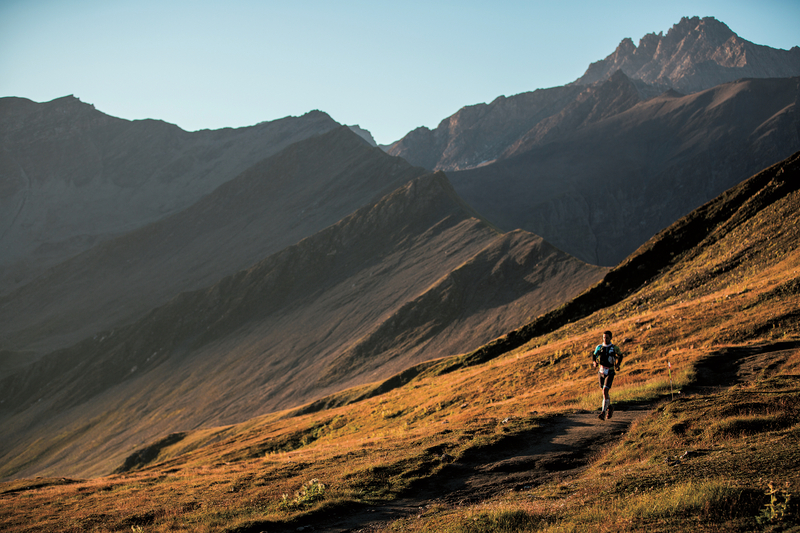 Mont Blanc lends the UTMB an awesome and unique backdrop, but it is also the determining factor that lays down its iron law. 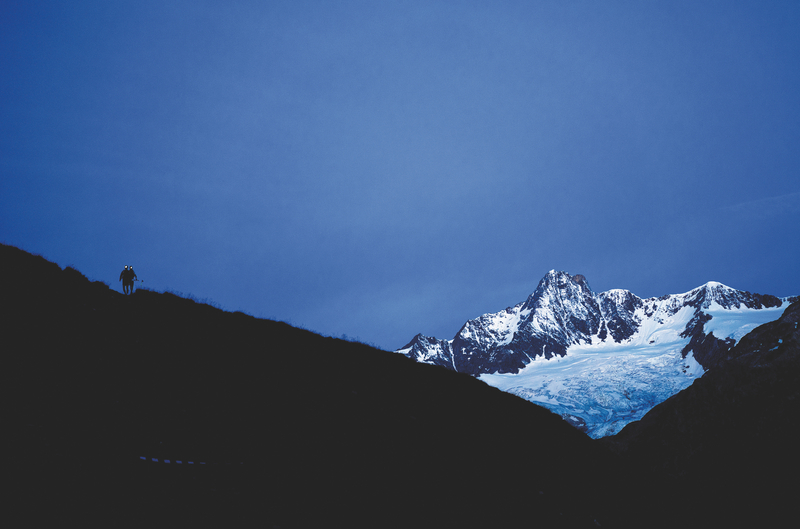 Several editions have been disrupted by the unforeseeable force that can deliver snowfall after a hot summer’s day, send lightning zigzagging across the sky after 10 consecutive cloudless days, or turn serene mountain pastureland into a deadly trap. 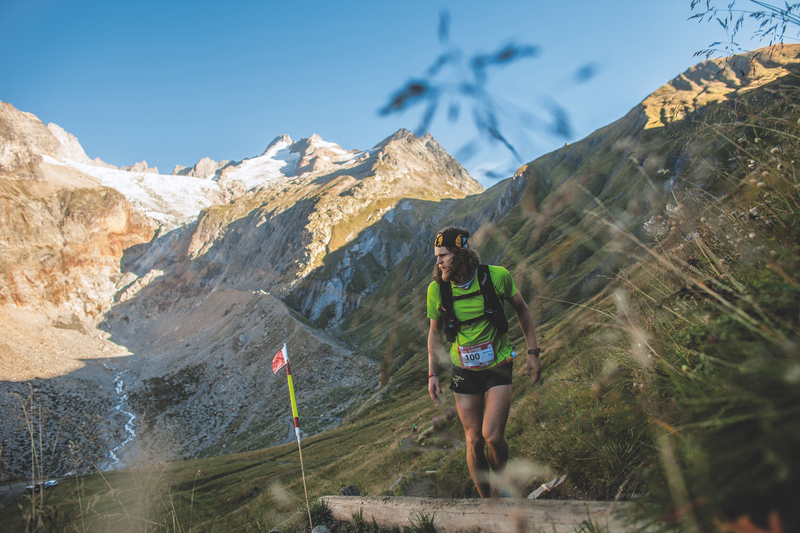 Steered by Catherine and Michel Poletti, the UTMB, first run in 2003, is held every year on the last weekend in August. The pioneers, including the Polettis themselves, wanted to cause a stir in the area to extend the summer tourist season, which generally ended on August 15. 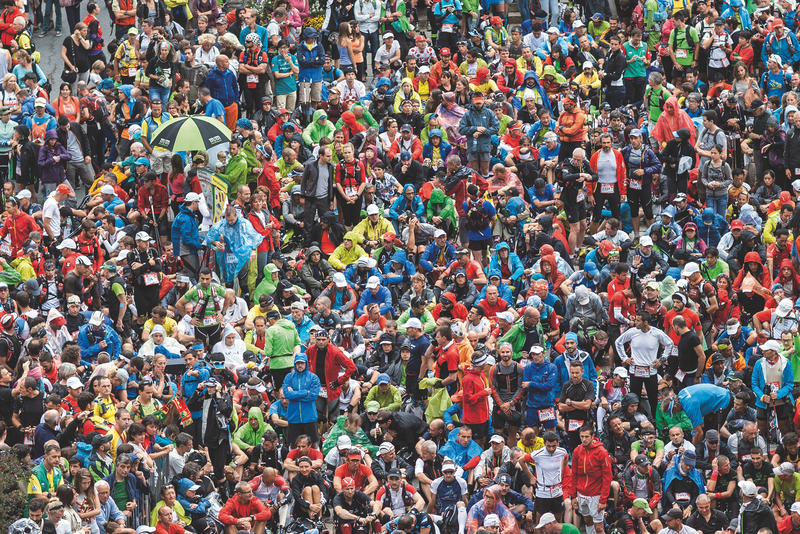 No one had any idea that, in no time at all, Chamonix would be seeing tens of thousands of people flocking to the UTMB, which now includes four races in addition to the ultra. The start is given late in the afternoon, in front of the church right in the center of Chamonix, where the 2,300 runners gather together, like so many anxious multicolored dots. In an indescribable state of turmoil, the procession sets off on the grand tour in a counterclockwise direction. 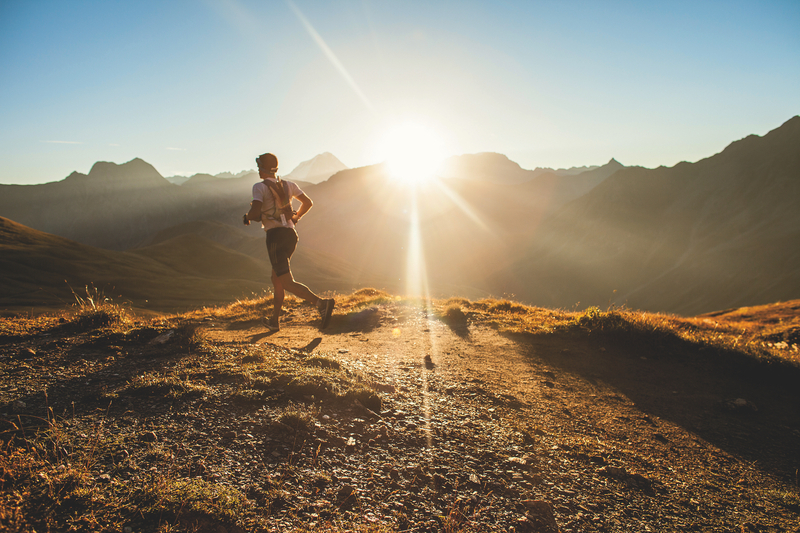 Night falls as they reach the first difficult sections, the Col du Bonhomme; dawn heralds the Col de la Seigne, Italy, and the extraordinary sight of the glaciers trickling down Mont Blanc. After Courmayeur, marking the halfway point, the Grand Col Ferret is the last pass, a shade under 8,200 feet of altitude. 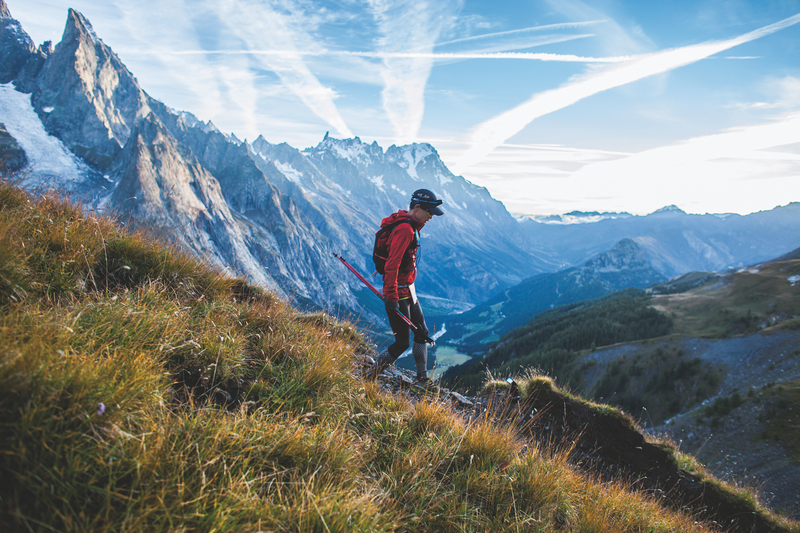 The final 25 miles are like a waking dream, experiencing the finishing line at Chamonix, where every finisher receives a rousing welcome, be it day or night.